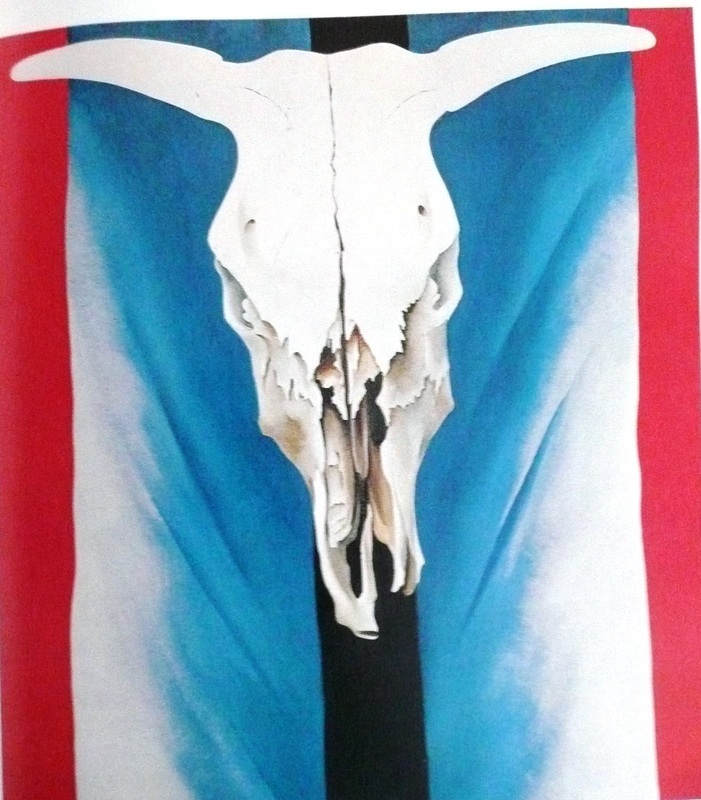 Cow’s Skull — Red, White and Blue, 1931. Oil on canvas, 40 x 33. Georgia O’Keeffe. Call it homage to O’Keefe if you like. For fun I painted a red, white and blue painting, too, but with my wife Patty as the focal point. What is it with the boxing gloves? We used to lead kickboxing classes at a health club.